Queen St. Reef, Moray Firth on the east coast. 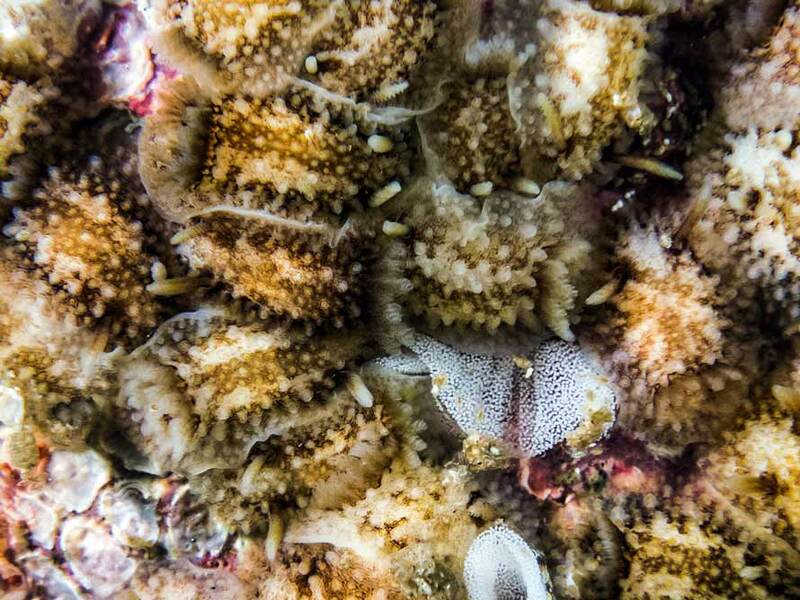 The rock surfaces were covered in patches comprising single up to hundreds of animals in a mass spawning agregation at depths from 12 - 14 metres in 11°C water. The reef covers an area approx 400 x 800 metres in a sandy bay and the patches of the animals were reported all over the reef. Fuji 810 in Ikelite housing with Inon CU lens and 2/D-2000 flashes.